So many gorgeous gowns and one sleek pair of pants! 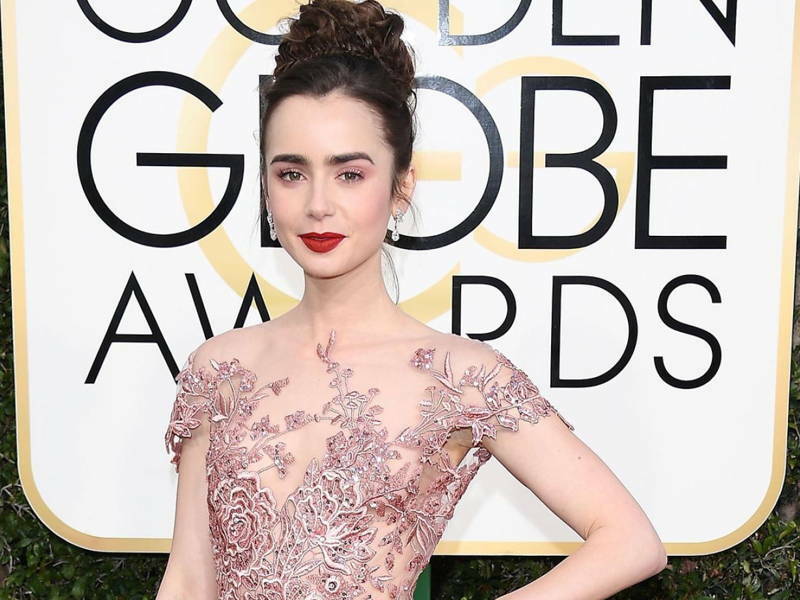 The fashion at this year’s Golden Globes slayed – the usual suspects and many newcomers served up looks that had us gagging. The red carpet made us realise that all that glitters is indeed gold (and yellow), with lots and lots of bling! Mandy Moore dazzled in her Naeem Khan dress, making her walk down the red carpet “A Walk to Remember”. In a simple yet oh so elegant dress by Stella McCartney, Busy Phillips wow-ed the red carpet. Her floral embroidered dress was one of the players in this year’s yellow theme. Can we just take a moment to talk about this Versace dress? Just look at that silhouette, slit, and colour! Speaking of how gorgeous yellow is, just look at Viola Davis shine in this Michael Kors number. The one-shoulder floor length dress does wonders for this already gorgeous woman. Heart eyes all around for this one! This Monse dress is so understated yet beautiful. It’s simplicity with a shimmery surprise. There have been many opinions on this Louis Vuitton number but we have to hand it to Ruth for smashing it in this dress. The floor length metallic gown is absolutely stunning, and not to mention downright eye-catching. Stone described her dress eloquently, “its pink and there are stars on it”. As simple as it was, this delicate number by Valentino made us all go ga-ga for the La La Land actress. One of our absolute favourites of the night was Olivia Culpo’s Zuhair Murad gown. I mean, look at it! That print, that neckline, that flare (and flair) and of course, Olivia Culpo just slaying the entire ensemble! We could not make a lists of our favourites without mentioning Evan Rachel Wood. That structured suit by Altuzarra is everything! Just look at her oozing poise, confidence, and all types of badassery!